It's your chance to experience the thrills and spills of real white water rafting. 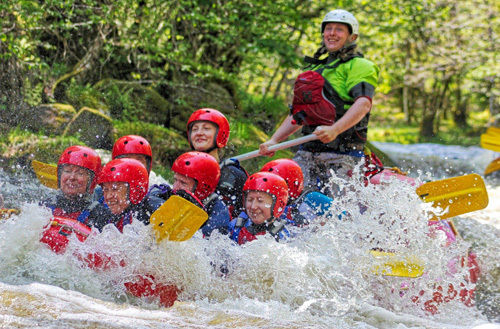 The National White Water Centre is dedicated to providing the best white water experiences on offer in the UK, a world class whitewater venue available to all paddle sport enthusiasts and to help Canoe Wales develop canoeing and kayaking throughout Wales. This two hour session takes you crashing down the Upper Tryweryn’s grade 3-4 natural, Welsh mountain white water rapids, with enough time to usually fit in 4 exciting and challenging runs of the 1.5km section!